Unlock a more powerful you today! Louisa is an Exercise Physiologist who is passionate about helping people manage their physical health. She has worked in both the fitness industry and in a clinical setting and both have one common similarity – people are desperate to heal. Getting your physical, mental and emotional health functioning optimally is the key to thriving in all aspects of your life, to ultimately reflect a more powerful version of YOU. Empowering people with the knowledge and tools necessary to take charge of their health and wellbeing through the science of exercise and movement is her mission. To be at your physical peak and flourishing means your posture is powerful, your biomechanical foundations are strong, your hormones are balanced and your body composition is healthy. 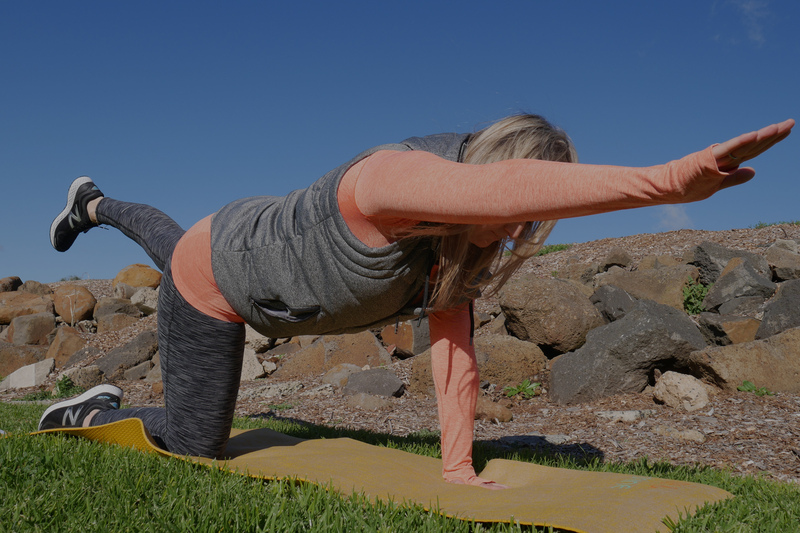 So, if ‘Awakening Your Physical Health’ is your priority, learn how to create daily rituals through mindful movement and exercise programs to unlock a more powerful you today! After suffering from reoccurring knee pain caused by various issues with my feet, I found my regular exercise and training was doing me more harm than good. It was no longer as effective and I found I couldn’t shift weight I’d recently gained. 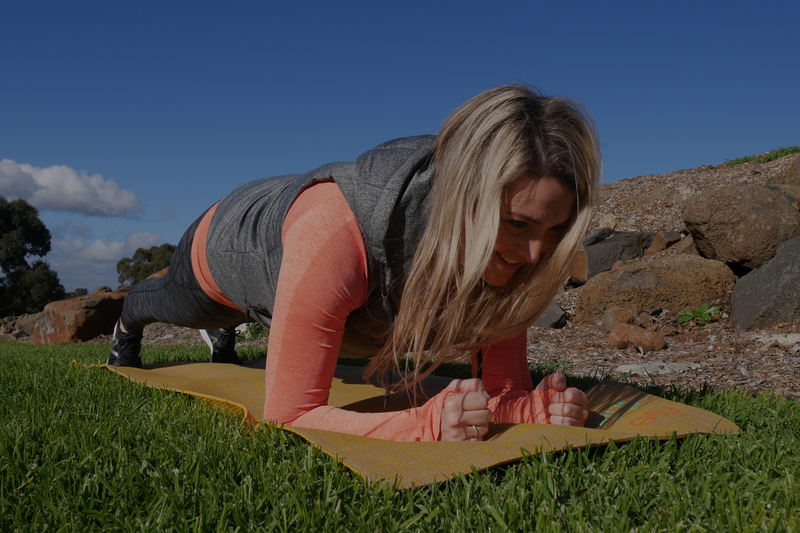 I had to re-learn how to do the most basic of exercises and Louisa played a crucial role in helping me regain my fitness through strength training, and non-weight bearing exercise tailored to my body’s needs. I’ve also been able to finally lose some weight with Louisa’s help and encouragement. She is constantly challenging me and is helping to keep me motivated throughout my fitness journey. I’m so grateful to have her with me every step of the way. I approached Louisa because I injured my back and she helped me get back on track with my regular exercise activities by assisting me with an exercise regime that we built up each visit. The result was phenomenal, I was ecstatic that I was able to go about my normal duties but most importantly getting back to exercising. I liked how Louisa was very honest in our one on one appointments and always directed me on the right path and recommended the tools necessary to help me with daily activities and my own mental well-being. I found the experience to be worthwhile and would definitely recommend Louisa to anybody who needs to get back on track whether it be exercise, health or overall well-being. Louisa’s knowledge of the mechanics and capabilities of the human body has proven invaluable to me, as I attend both one-on-one and group classes for both rehabilitation and fitness. Louisa quickly adapts to my changing physical and mental needs, and designs my personalised program accordingly. She has helped me to enjoy exercise and feel much better! I have suffered from high blood pressure and have been overweight for a number of years. Louisa has worked with me to lower my blood pressure and get my weight under control. Before I started working with Louisa I suffered from Costochondritis and lacked energy, it was hard to perform everyday tasks. Thanks to Louisa’s support, personal approach and regular sessions the Costochondritis has diminished I have a lot more energy to perform everyday tasks. I highly recommend Louisa to anyone seeking a professional and committed Exercise Physiologist. 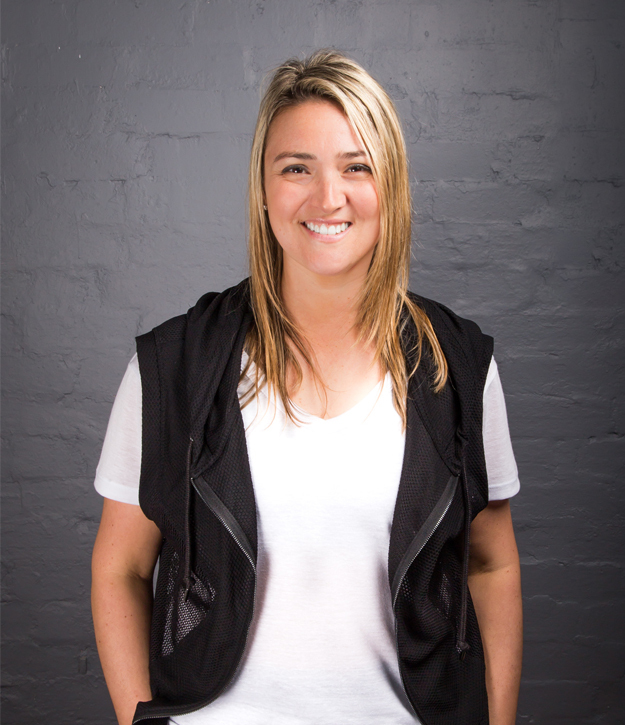 Louisa is extremely passionate in what she does and is 100% invested in helping her clients achieve their goals. Louisa has personally contributed to my lifestyle change and encouraged me to do my best throughout the whole process! Louisa is an Accredited Exercise Physiologist, Exercise Scientist, Wellness Advocate and Creator of her Signature Essential Oil Blend. From a very young age she loved sport and physical activity and always knew this was her passion and inevitably what she would do as a career. Are You Heading Towards Chronic Back Pain?